The best of the DVD to 3GP converters. Provides you with a wide range of multifunctional conversion options. Convert DVD to MP4, AVI, 3GP, 3GPP, WMV video for Multimedia Mobile Phone by custom file size. 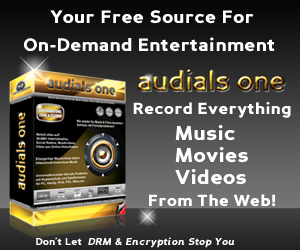 Rip DVD’s by title or chapter, select target subtitle and audio track and trim DVD with only a few clicks. 3HeroSoft’s DVD to 3GP Converter is a powerful DVD ripper and 3GP conversion tool that performs perfectly. It converts DVD to video in the most popular video formats 3GP, 3GPP2, MPEG1/2, MPEG4, WAV, Xvid, RM, and to audio MP3, M4A, RA, AAC easily and fast, with excellent output quality. Download the free demo now and try this powerful DVD to 3GP Converter software. Expand your digital entertainment possibilities. 1. Rip DVDs to many video formats – 3GP, 3GPP2, MPEG1/2/4, WAV, Xvid, RM, and to audio MP3, M4A. 2. Extract audio from DVD videos. 3. Convert the whole movie, or certain title or chapter of a DVD. 4. Convert any clip or segment by setting the start point and durations. 6. Modify the parameters of the video and audio codecs. 7. Supports the editing of ID3v1 and ID3v2. 8. View the parameters of the original files. 9. Set the zooming mode of the output movie. 10. Set the splitting mode of the output movie. 11. Select the audio tracks, subtitles and angles of the output movie. 12. Custom name the output movie. 13. Edit advanced settings, including audio, video, luminance filter, subtitle and DVD-ROM cache. 14. Supports multi-threading and batch conversion. 15. Automatically get DVD disc information from server. 16. Supports multiple languages including simplified Chinese and English.